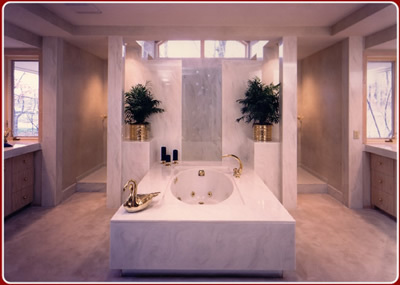 Valley Interior Products is a full service kitchen and bathroom	design, remodeling contractor, and construction company. Founded in 1980, the VIP Design Center provides outstanding quality, service, and value for a variety of customers. Specializing in custom bathroom and kitchen design and remodeling in the Minneapolis metropolitan area, our highly trained and skilled craftsmen are happy to assist you in the selection of products for your next home project. We invite you to visit our beautiful VIP Design Center showroom in Minneapolis	that features many displays of our select group of kitchen and bathroom manufacturers and their product lines. We represent quality name brands such as Kohler, Cortina, Cultured Marble, Cambria, Corian, Florida Tile, Holiday Kitchens and Swanstone. © 2006 Valley Interior Products. All Rights Reserved.